Well, after deciding to be done with the XJ and go without a Jeep for the summer.... I held out for three and a half weeks before finding something new. 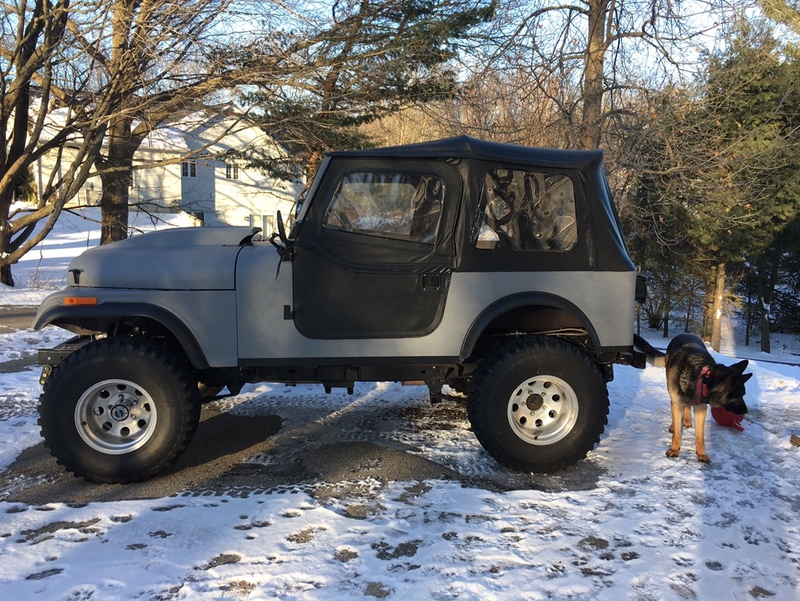 CJ7, LS base, stock or 1/2 ton axles, 33” tires, clean frame, clean body and able to drive. Long tube headers with dual 3” Flowmasters. D30 front and D44 rear with spool. Fiberglass tub, fenders and hood. Newer Bestop seats front and rear. Brakes work but pedal goes to the floor. Steering turns much more right than left. Wiring is a mess inside and out. Something my wife can drive. Dependable daily driver for summer. More time driving than upgrading. Sand will be only off-road. Last edited by John D; March 3rd, 2019 at 05:41 PM. Looks good. Will be interested to see how this goes. When you say needs tuning, as in it needs a tune-up, or is there some non-stock parts in it that it needs tuning for? My only gripe with the fiberglass tubs is the rear panel looks so bare. Needs some stickers or something. Lol, I don’t think anyone around my house was surprised. It runs really bad - doesn’t want to idle and rich fuel smell chokes you out when you’re inside. No engine codes but something isn’t right. I’m told stock other than the headers/exhaust. That might look pretty sweet. Yeah, that might not be bad. Or maybe a nice bead rolled aluminum panel or something? Chrome trucker girl decal would look great. I was thinking in addition to the decal, which I obviously already ordered. Nice dune toy. So is the xj gone? Maybe a 70’s vintage mural on the back. 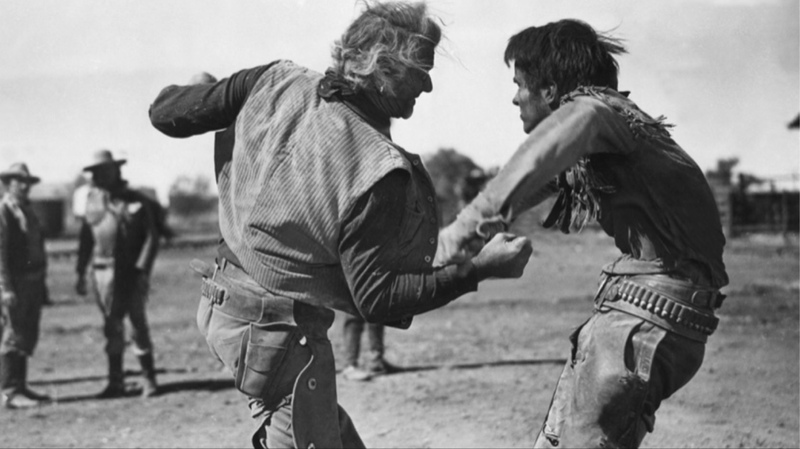 How about John Wayne fighting Indians? The XJ is gone. All the usable parts are moving over to my son’s CJ project, I sold or gave away all the XJ specific pieces and cut the rest into pieces. It was time, I had that car for 16 years and I was disinterested for the last two. Baker Engineering in Nunica is my choice for the tuning. I like it! It even has some silver lake inside it! Actually A LOT of sand. I’m pretty sure it is making sand as we speak.